Peirush Ha’Milos. First edition. Krakow 1580. 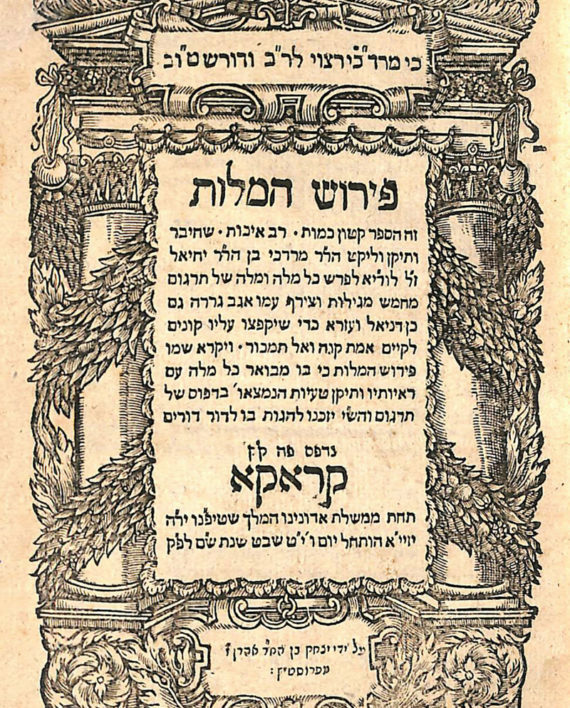 Lexicon to the Targum of the five Megilos as well as the books of Daniel and Ezra, authored by R. Mordechai Luria. Important work for the correct understanding of the Targum. 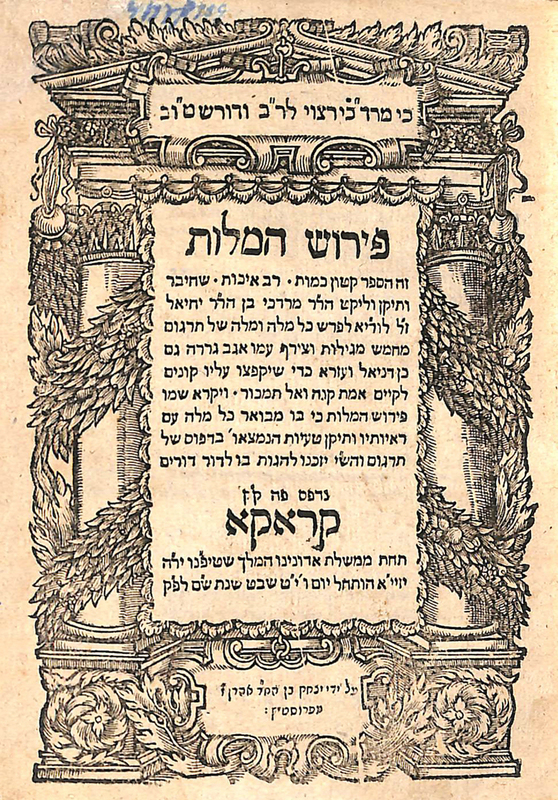 With signature of various censors on final page. Title page set within architectural arch. Vinograd Krakow 68. Prostitz press. 44 pages, 18.6 cm. Fine condition. Modern vellum binding.